Sakai Guides and DocumentationSakai Basics HomeWhat is Membership? 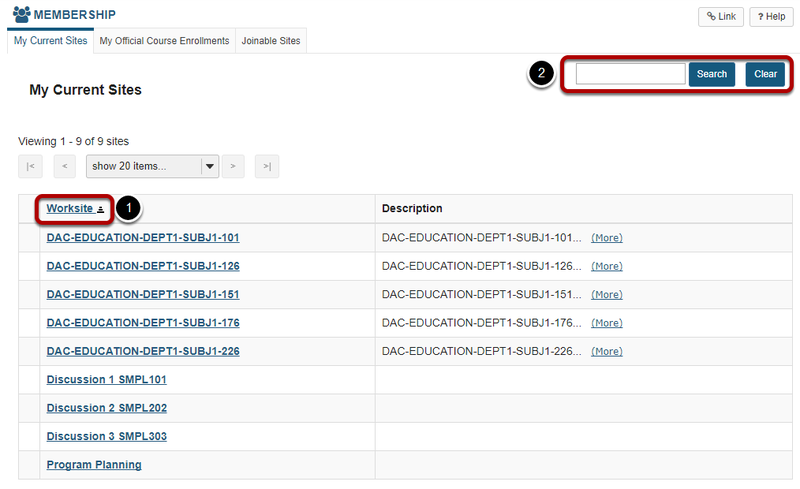 The Membership tool in Home displays the list of sites in which a user is currently enrolled. 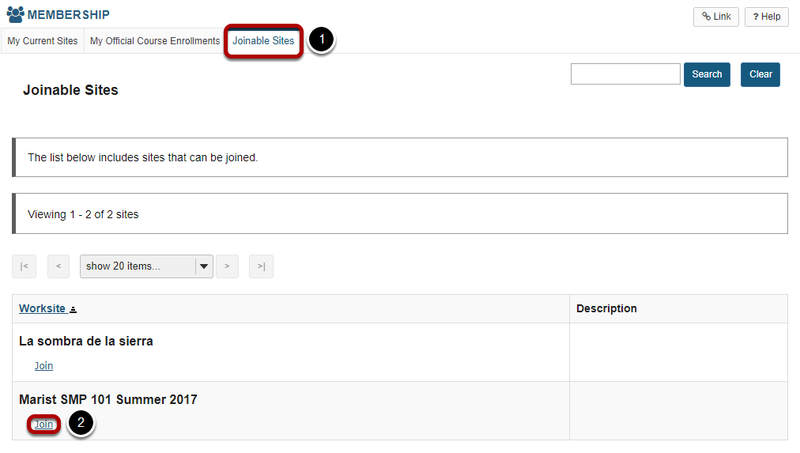 Click on the Membership tool in the Tool in Home to access your list of sites. You may sort by Worksite title by clicking on the column heading. 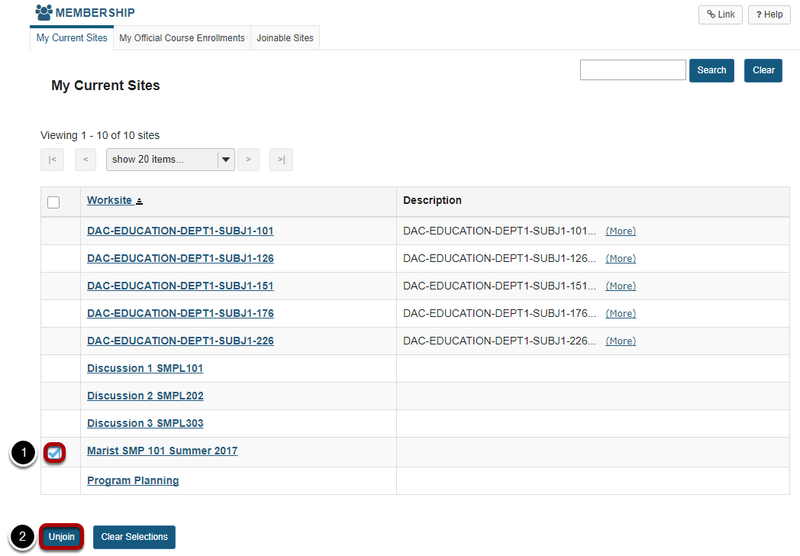 Select My Official Course Enrollments to see a list of all the sites in which you are officially enrolled by your institution's registrar or student information system. If you would like to view and join sites that are open for self-enrollment in the system, click on the Joinable Sites tab. Prev: What are the Home Message Center Notifications? Next: How do I view and edit my account details?